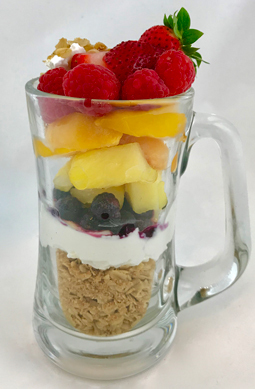 Rainbow Parfait - A recipe from Savor California, the online showcase for extraordinary gourmet foods and beverages from California. Start with your choice of flavor of AtheenOats. Layer seasonal fruit on top to make a colorful rainbow.